the previous results of the Kona participants. This is the ideal information to have when following the Ironman Kona coverage! If you haven’t already, please join our mailing list to be notified when new reports become available (just use the form in the sidebar on the right). Feel free to share with others interested in a statistical look at the upcoming race. Thorsten provides us with up to date, succinct information on the top pro athletes. No longer do we need to spend precious time searching through pages of results for athlete information for those we know little about and likewise we have a quick reference tool for the top pro’s as well. The additional statistical analysis of results allows us to remove hype and bias and factoring in strength of fields, toughness of courses and other factors to find out who the real fastest athletes in the world are at any given time. 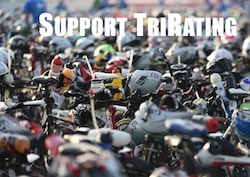 Interested in my 2011 Pre-Kona Rating Report? 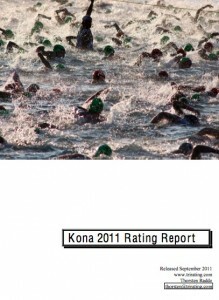 2 Responses to Kona 2011 Rating Report is ready for download! Very interesting – I now know who to follow on Twitter when I get to the Island. I hope to cross the finish line 2hours behind these bad boys. congrats on making it to Kona! Enjoy your time at the big dance – I hope you’ll get a chance to “rub shoulders” with some of the big names.